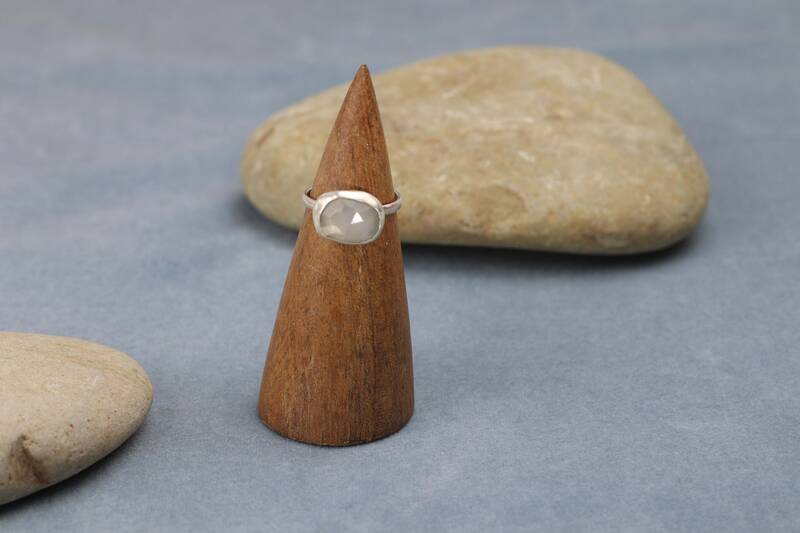 Rose Cut White Moonstone Sterling Silver Ring. 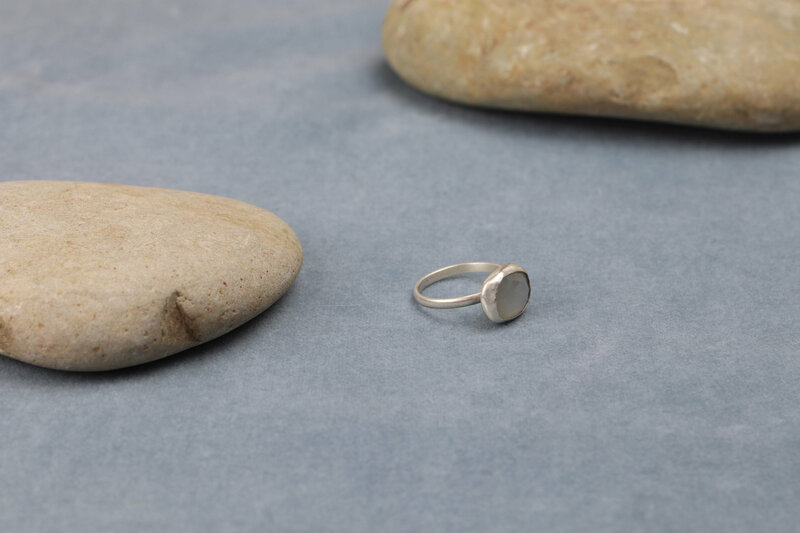 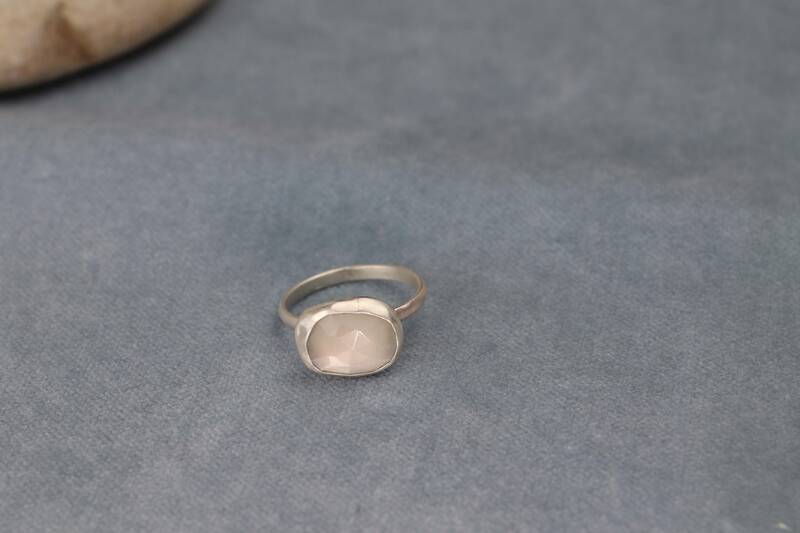 Rose cut natural moonstone silver ring. 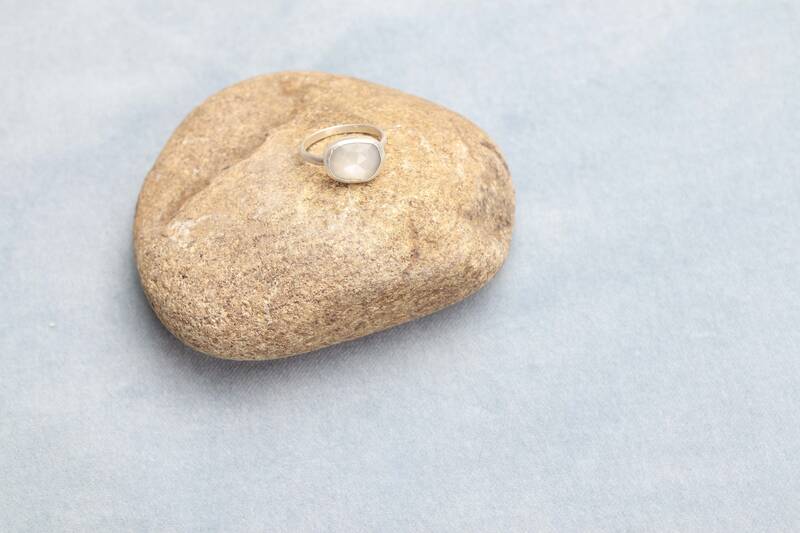 Size 6.26. 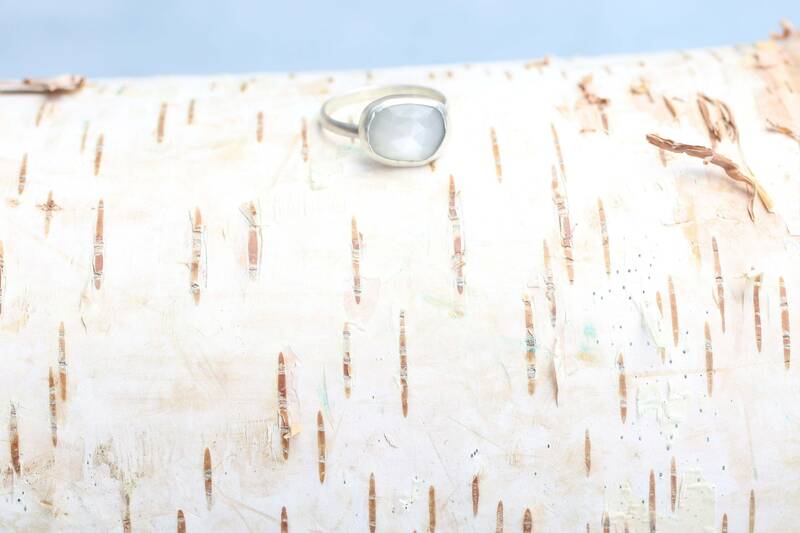 Stunning bezel set and wrapped.